Among Chongqing industries, except for the fast growing of auto manufacture, the computer, communication and other electronic equipment also developed rapidly. The new factory at Chongqing is a response for the policy of Western Development. “Take the rest ability of the economic development from the eastern coastal areas to improve the level of economic and social development for the western regions” is the purpose. With the pace of Western Development, lots of international enterprises had transformed to the western regions. 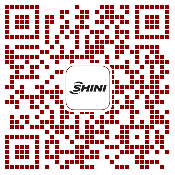 Shini is one of the members in this movement. The initial area of Shini Chongqing plant covers 13,300 square meters and has been established and put into operation since last year, which successfully increased the demands of western customers and related services. The initial area of Chongqing Shinden factory covers 13,300 square meters and has been put into operation since the end of last year. There have three production lines right now, the products contain the series of drying and dehumidifying, loaders, and mould temperature controller. Output capacity is 300~400 units/month, and sometimes it reaches the maximum rate of 500 units/month. In the future, according to the demands in these regions, it not only could provide the customization service, but also could supply the budget models for granulators, mould temperature controllers, and the water chillers as well. The establishment of Chongqing factory with products and services covering southwest of China, mainly for provinces of Shanxi, Shanxi, Sichuang, Hubei, Guizhou, Yunnan and Chongqing. It enables to offer swift technical supports and user experiences in these regions, which would reach the Group strategic target by expanding to the whole markets of China in future.